The Children’s Place ended its first quarter 2017 with comparable retail sales increasing 6.1%, its highest first quarter results in over a decade. This comes after a positive 5.1% comp in the first quarter of 2016. The company repurchased $33 million in stock and paid $7 million in dividends in the quarter. "Further separating us from the pack, we generated positive comps in our brick and mortar channel for the sixth consecutive quarter and our traffic continued to improve sequentially from the fourth quarter," said President and CEO Jane Elfers. The company said e-commerce grew to almost 20% of total retail sales in 2016 and its omnichannel business is roughly 25% of its customer base and 42% of sales. A little over 60% of its brick and mortar stores are located in malls; roughly 13% are outlets and around 25% are in Lifestyle Strip centers. Capitalizing on its omnichannel successes, the children’s specialty apparel retailer announced it would significantly push forward on developing and implementing a best-in-class personalized customer contact strategy. The company named Pamela B. Wallack to the newly created position of President Global Product, effective immediately. Wallack will assume responsibility for global merchandising, design, sourcing and production and her hiring will allow Elfers to devote more time to the strategy. Wallack hails from David’s Bridal, Inc., where she served as President and CEO, and Gap Inc., where she served as EVP of Gap Global Creative Center, President of Gap Women’s/Men’s and Body, and President of Gap Kids & Baby. "Given the ongoing shift to digital commerce, our core customer who’s a digitally savvy, mobile millennial Mom, our consistently strong operating results, and the changes in competitor dynamics, we have made the decision to significant accelerate the development and implementation of this initiative," said Elfers. "We believe this represents a $200 million sales opportunity over time for our brand." The company will launch through five releases of upgraded digital capabilities throughout the remainder of 2017. The releases are sequenced to provide improvements to optimize the checkout process, provide easier access to accounts and awards information, and to provide improved product information and personalized recommendation. Following these five digital architecture releases, the company expects it will have a foundation in place to add more personalized capabilities starting in 2018. It also plans to launch a significantly improved mobile app in its third quarter. The new app will be the foundation of the company's mobile first strategy and will provide it the ability to quickly add advanced functionality post launch. "Our digital experience is key to our personalized customer contact strategy, particularly when you consider who are core customer is. Our customer is a retailer’s dream," said Elfers. "She is millennial mobile mom. She’s a digital native who is highly adaptive of and engaged with technology and expects us to provide an easy to navigate modern digital experience." 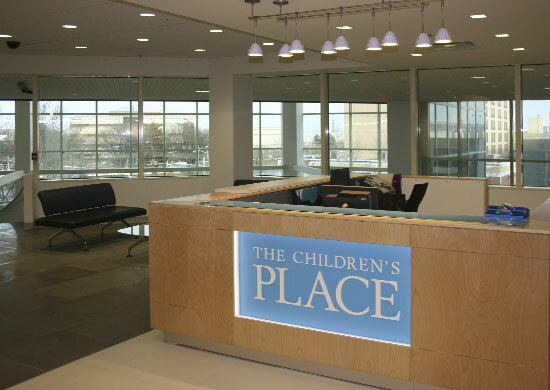 The Children’s Place is laying the foundation for its personalized customer contact strategy with expectations that it will be able to eventually communicate with customers through triggered emails, more personalized recommendations based on behavioral history, and targeted personalized promotions. It also plans to be able to personalize offers at POS and through digital displays. The strategy relies on it building an agile digital marketing organization, which consists of three teams: its customer insights team, customer strategy team and digital delivery team. Customer insights team. The Children’s Place said its customer insights come from work it's doing on customer segmentation and customer analytics. "Working with our outside partners, we are well on our way to having a 360 degree view of how, where and when our customers shop and engage with us across all of our channels," said Elfers. "This information, coupled with deep customer analytics, will enable us to anticipate our mom’s needs and deliver on those needs through a tailored, best-in-class marketing experience across all of our digital touch points." Customer strategy team. The company is working on setting up a cross-functional testing and execution insights lab staffed by external partners working in collaboration with its in-house customer insights team. "The findings from our insights lab combined with the acceleration of new systems and processes will provide a launching pad for us to develop, deliver and continuously refine our dynamic personalization strategy," she said. Digital delivery team. The company plans to launch buy online, pick up in store (BOPIS) later this quarter. Following BOPIS, the company plans to "move quickly to the use cases and benefits associated with the additional omni capabilities of ship from store and save a sale." The company is targeting to have the initiative fully up and running by the end of fiscal 2018, so it can realize the full benefit in 2019.